Prospects Will Feel the Difference. You Will Too. Opening new doors has never been easy. In both professional & social sectors, people don’t want to be sold. “Hot Shot, Half-Truth, Sound-Alike Sales People” have caused prospects to shut down, stop listening, and routinely “dumped” sales people into voicemail without even a conversation. Today’s buyer has lost confidence & faith in salespeople, and the empty promises they make. 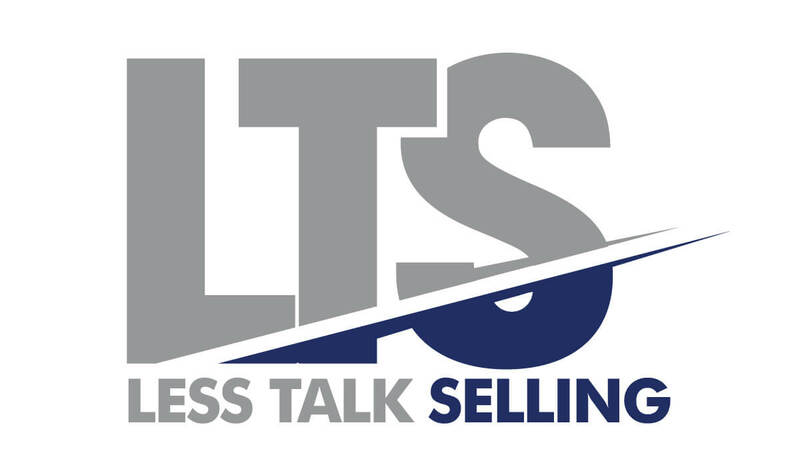 Less Talk Selling is a refreshing look at how to open up new doors in your professional and personal life. How Can Less Talk Selling Help? Learn about yourself, & your team. Looking inside the bubble provides you a crisp perspective on your goals & ultimate aspirations. With new skills comes inspiration. Opening yourself & your team up to new methods can change your outlook on selling and prospecting. With new methods and a fresh outlook, your strategy becomes less like work, and far more rewarding. You are, of course, here to help your customer. People know when they are being taken advantage of. They also know when they are being taken care of. This is exactly what they are looking for. I've seen a lot of sales training over the years but I've never seen anyone with his insight into how prospects think. He shows you how to be different, how to separate yourself from the rest...put the customer first. Bill's incredible talent for coaching and sense of humor made the program productive as well as entertaining. A great investment of time and money! Bill's program not only helped us all understand what we were doing wrong, he helped us understand why so much of today's sales training doesn't work with today's buyer. Knoche surprised us all when at the end of the second day of training he picked up the phone and started making live calls to our prospects. In about 90 seconds he had uncovered more information than we could get in 10 minutes, if ... we could stay on the phone that long. I watched as my sales people became "fearless". They were relaxed, confident, unstoppable, and they were having fun. Bill will be doing a lot more work for our company. Bill is the 'Tradition Basher'. I love the way he breaks all the rules and explains how to open people up to have real conversations. He makes prospecting and using the telephone all ...so ...simple. I wish I'd met him earlier in my selling career. A man who will update you're thinking and increase your profits. Not only will this outrageous, good-looking man simplify your life, he will guide your people down the more efficient path... your sales staff will definitely know how to get the job done without being pushy. I think the most beneficial component of the training comes from the personal attention which I received during the first four weeks while you were working at our offices coaching us with your techniques. From that point, I've felt a sense of empowerment developing. Today, I'm no longer afraid to pick up the phone and risk making tons of money. Thanks for pointing me in the right direction! Well, it has been a year since one of my sales staff took your course. He balked at some of the concepts presented, avoided the advanced classes that followed, and still agreed that he was learning new things. You must have lit a significant fire in him. The next year was the best sales year ever for this individual; actually, his sales increased a full 30% over the previous year. Growth continues, and I know that we have you to thank for renewed inspiration and energy in making new contacts. 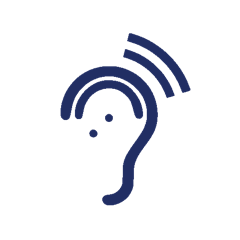 Download Your Free Ebook from LTS! 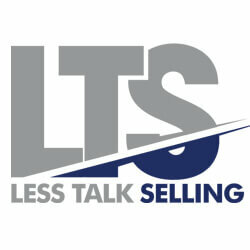 If you'd like to learn more about Less Talk Selling, shoot us over a question!